Just back from a long trip to Auckland, New Zealand and Sydney, Australia. I wanted to share some updates and observations from my time representing EDC and marketing our region to our friends Down Under and in the City of Sails. Unlike many of my recent international trips, I spent a great deal of time over the past few weeks engaging with our economic development peers at the Auckland Tourism, Events and Economic Development agency (ATEED) and the leadership of the Committee for Sydney – two very different and interesting models in two very different and interesting cities. EDC’s relationships with these highly regarded organizations have been continually strengthened and enhanced through our work with JPMorgan Chase and Brookings Institute. Our colleague Greg Clark from Brookings was especially instrumental in setting up several of these meetings over the course of my trip. Most exciting for me to see was the buzz EDC’s work has created over the past few years. Both the ATEED and the Committee for Sydney were familiar with our research and gave high praise to our work with the region’s traded clusters. Quite surprisingly, the organizations knew about our transition away from politics/policy over the last four years and praised EDC for being a leader in redefining regional economic development through a collaborative, employer-led approach – a strategy that has served us well. 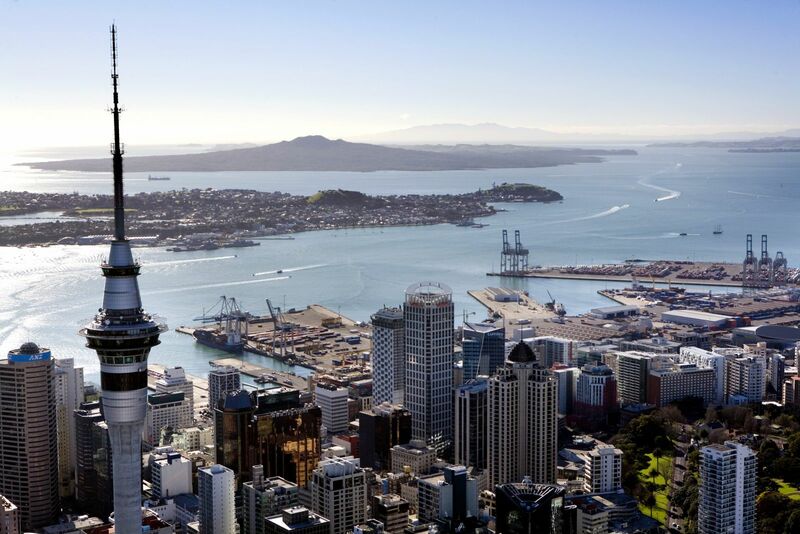 In Auckland, they are building a "sports and active lifestyle" sector strategy based on the research EDC conducted a few years ago in partnership with San Diego Sports Innovators. They have also analyzed our export strategy and Go Global efforts, and are working to mirror several of our programs/initiatives – now spearheaded by the WTC San Diego housed within EDC. Along the way I also had a fantastic meeting with Baseball New Zealand set up through the San Diego Padres, meetings with the airline industry set up by our colleagues at the San Diego County Regional Airport Authority, and continued engagement with leadership from two of our greatest San Diego/Sydney business connections: Cubic and ResMed. Lastly, I met with an Auckland-based VC firm who will likely be visiting businesses in San Diego within the next few months. As always, San Diego’s universities, world renowned research institutions, biotech industry, defense technology and proximity to Mexico dominated conversations throughout the course of my trip. And with international commerce opportunities increasing and expanding through the Trans Pacific Partnership (TPP), everyone I spoke with saw San Diego's geography, entrepreneurship and economic diversity as key assets for expanded international trade and investment. But what was incredible to see was how much better San Diego's economic story was understood and appreciated in comparison to my first visit to Auckland and Sydney just two years ago. With and through our partners/investors, EDC is successfully placing San Diego on the radar of international businesses, investors and thought leaders across the world. The National Geographic Smart Cities documentary and our work with Brookings and JPMorgan Chase have a lot to do with this, but so does the hard work of our economic development team, the outstanding research we have been producing and the creative way in which our marketing team is framing our work and telling our story. For that, we have nobody to thank more than our board members and investors whose leadership, guidance, support, direction and vision are helping to change the way the world sees our region and our economy. And the best is yet to come. "We are all visitors to this time, this place. We are just passing through. Our purpose here is to observe, to learn, to grow, to love...and then we return home." Thank you for sharing this time and place with us, and thank you for continuing to support our efforts to observe, learn and grow.